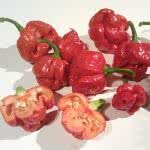 The Prairie Fire is a compact edible ornamental pepper perfect for outdoor borders or indoor pots. Prairie Fire is a bushy dwarf variety that grows to about 8” high (20cm) by 12” wide (30cm). 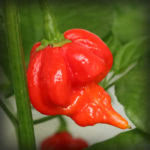 The small sprawling plants sprout 1” – 1.5” (3cm) long upright chiles which stand out above foliage. 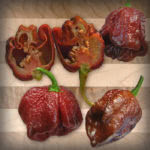 They mature in a range of colors from creamy yellow to purple, then orange and finally red. The plant’s branches cascade to the ground making this an excellent pepper for use as a groundcover. 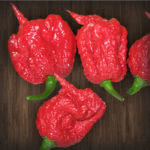 TASTE: Flavor is fruity and hot.